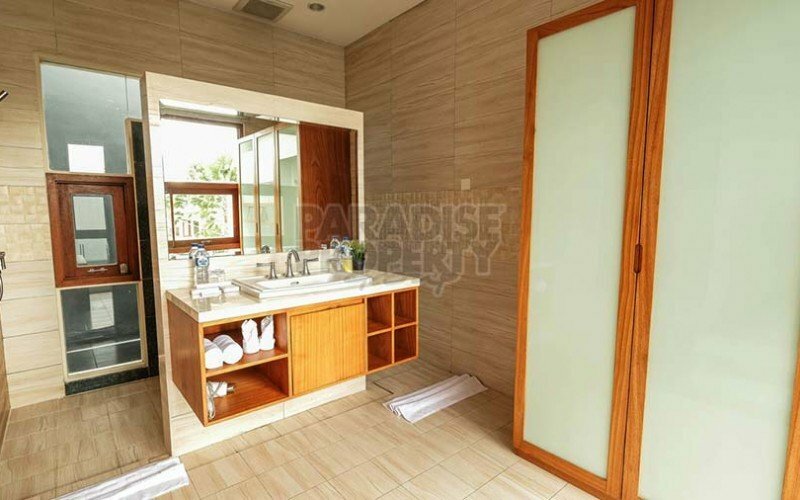 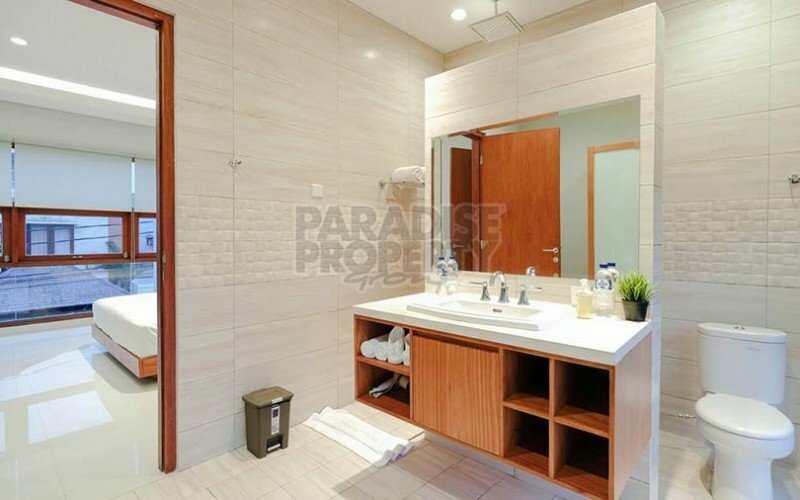 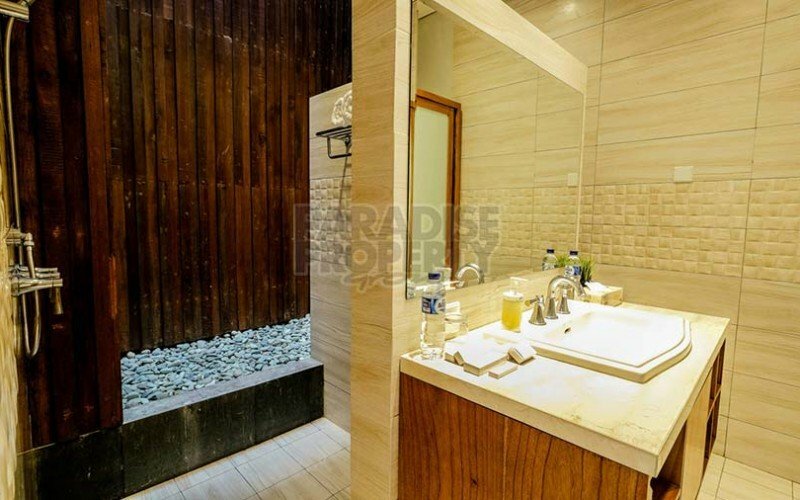 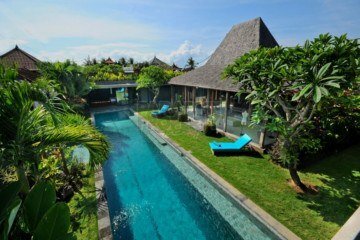 This villa is designed as a modern interpretation of Balinese living, offering you total privacy yet giving you the full services of real balinese hospitality. 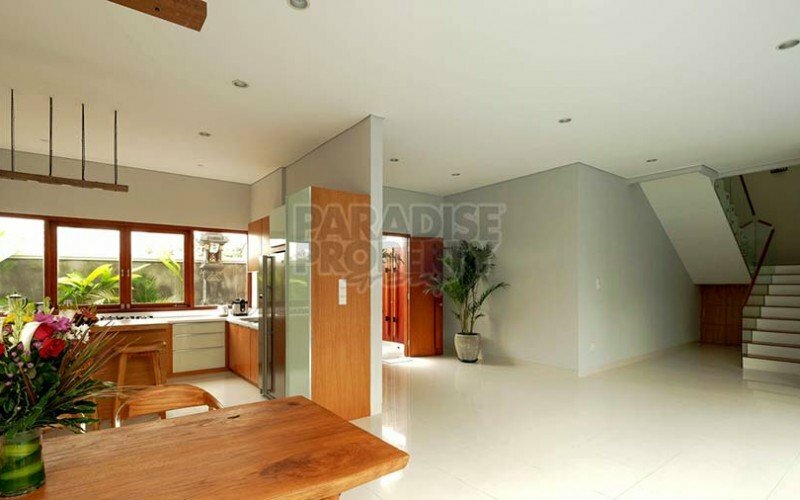 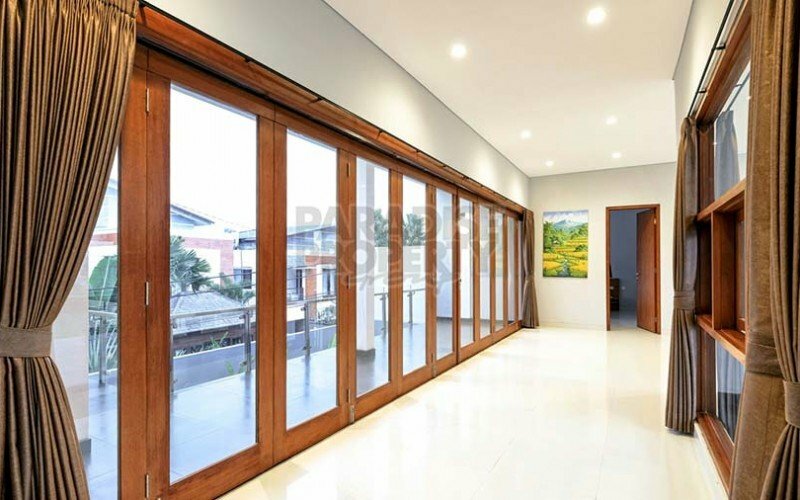 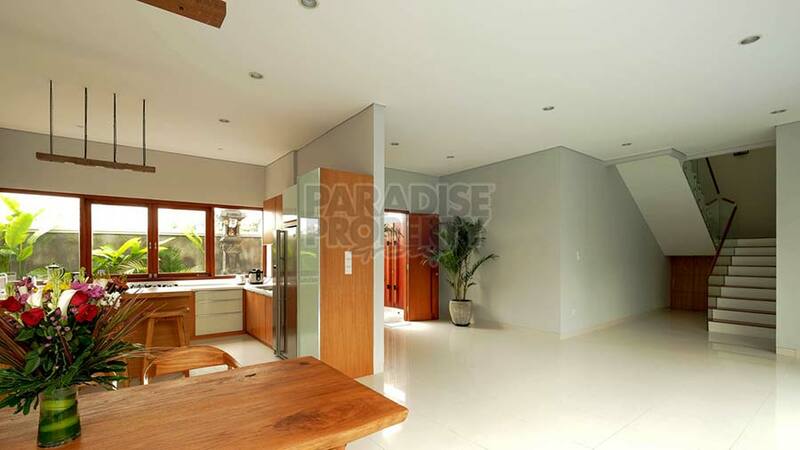 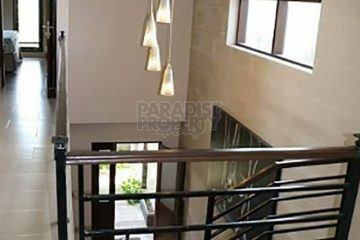 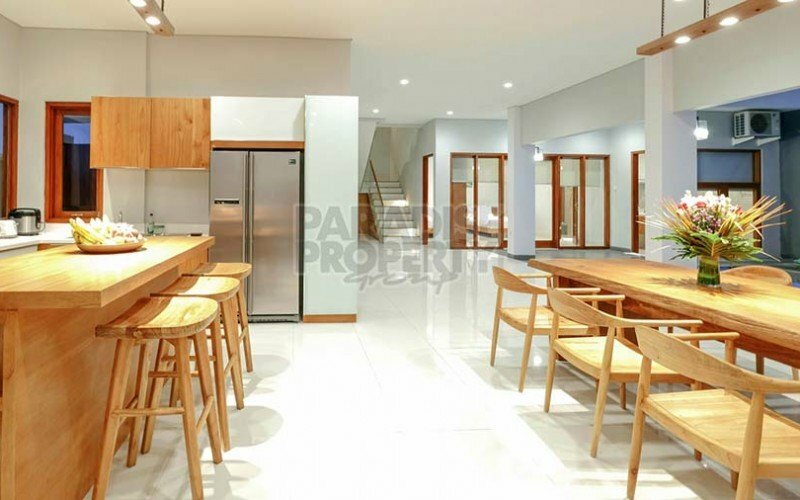 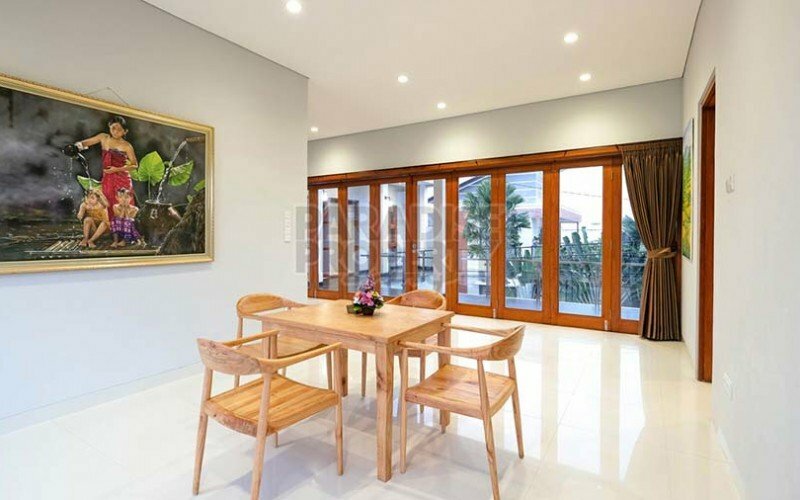 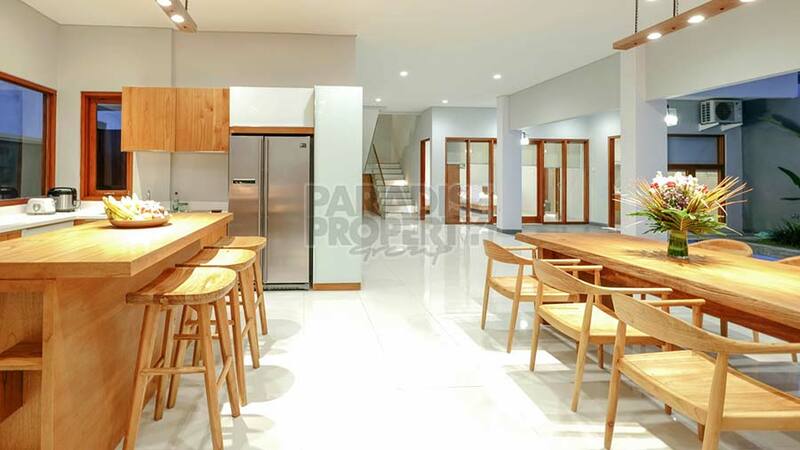 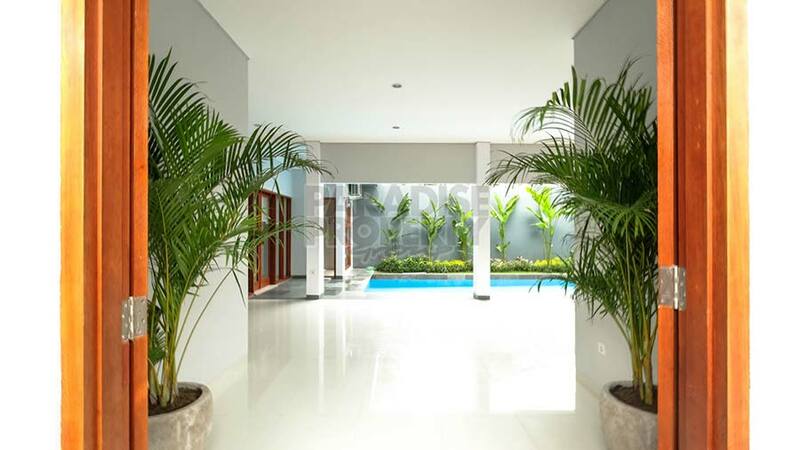 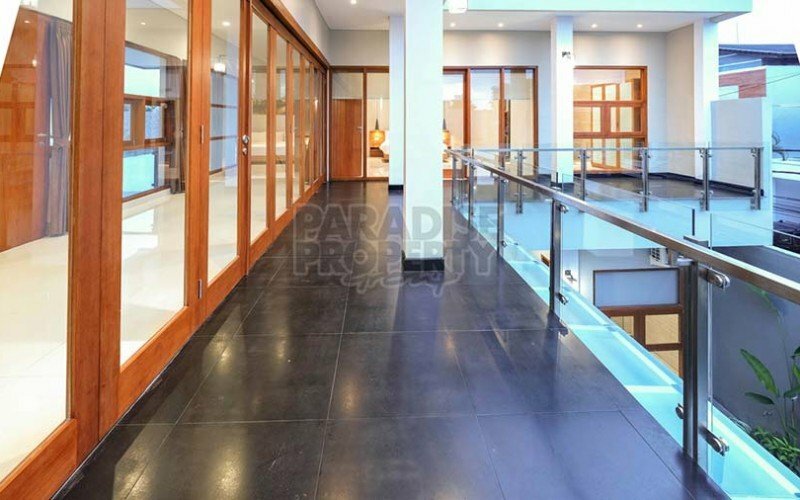 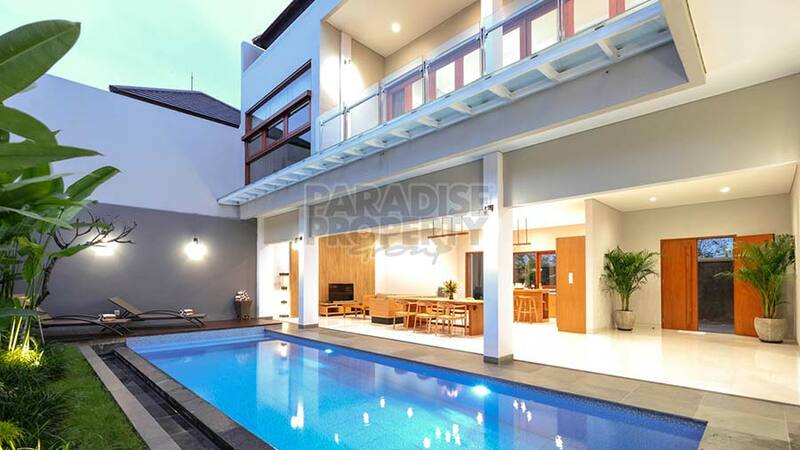 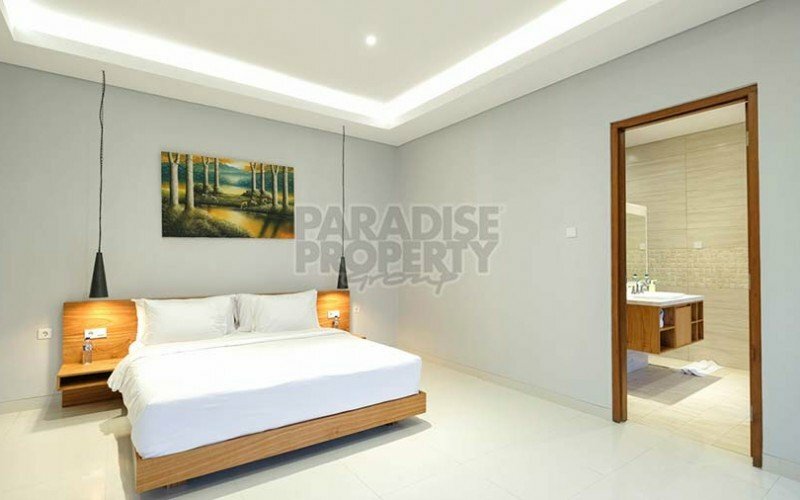 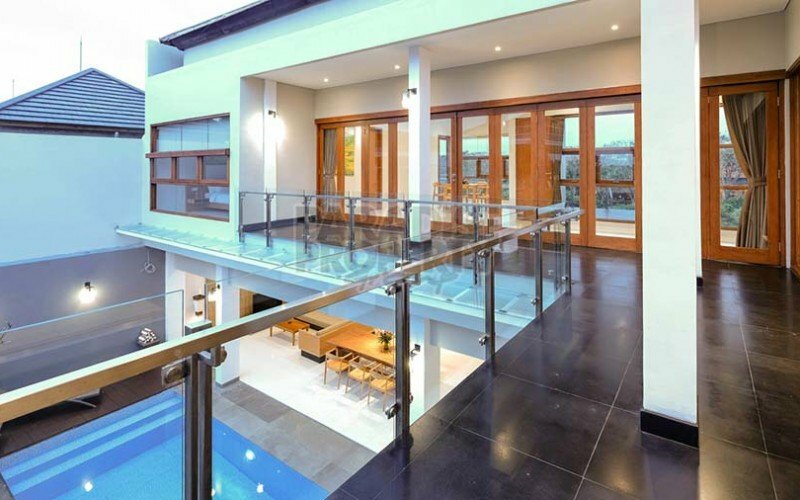 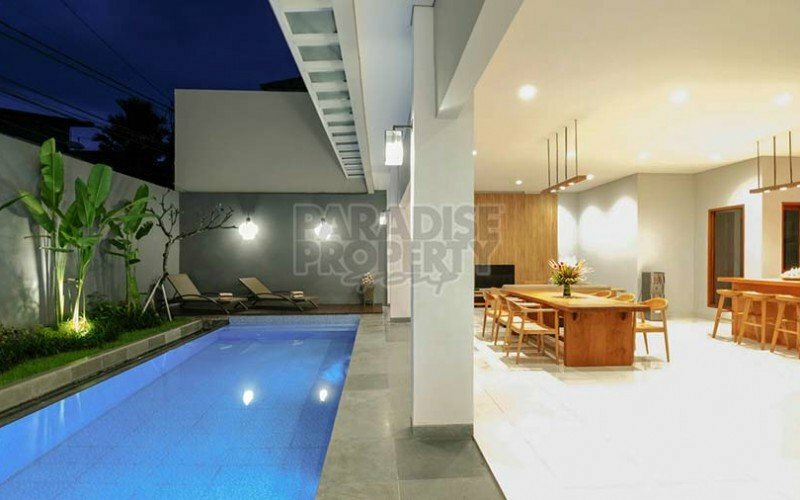 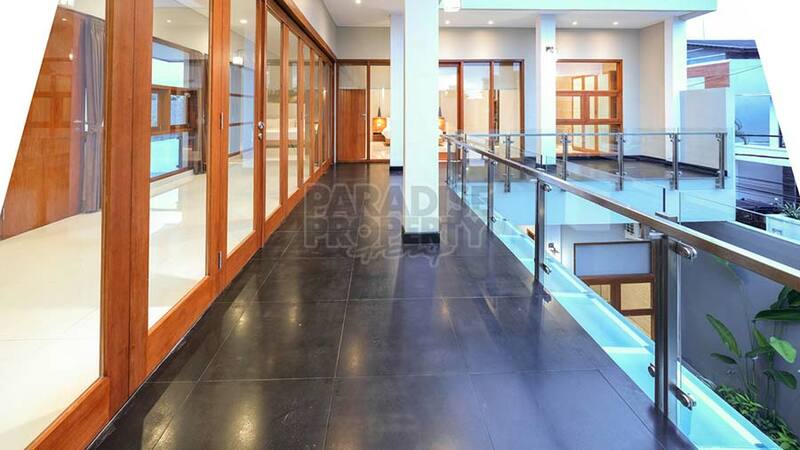 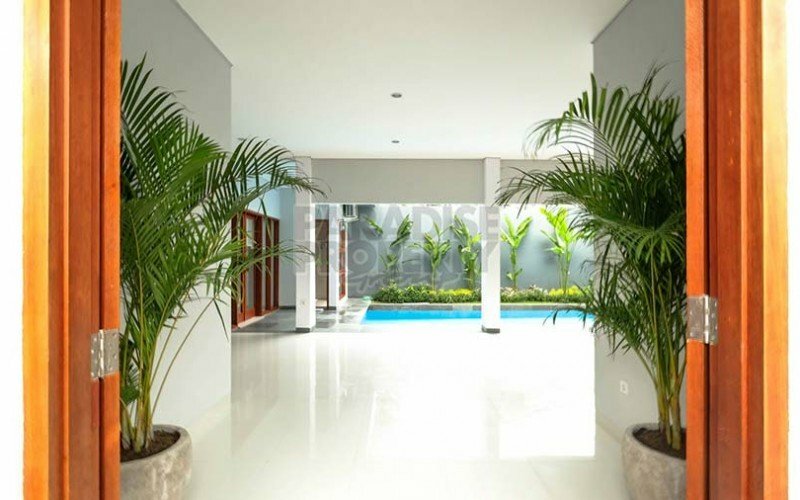 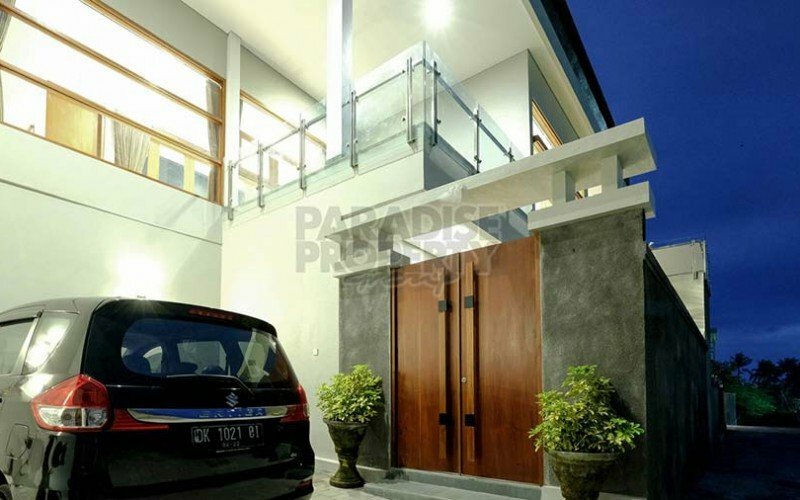 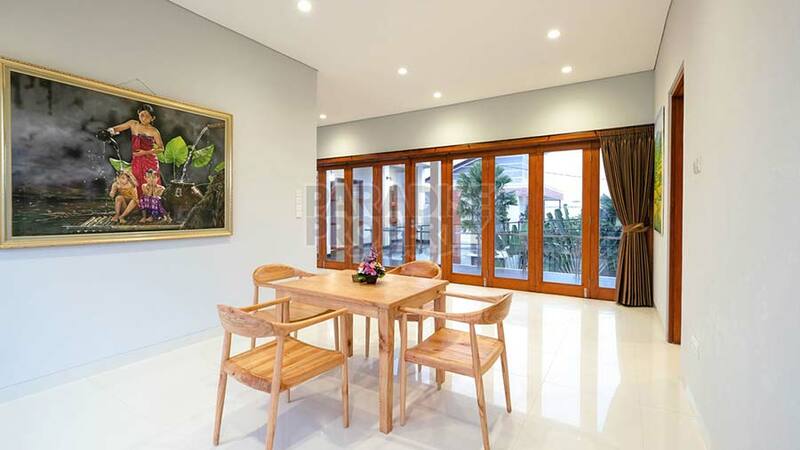 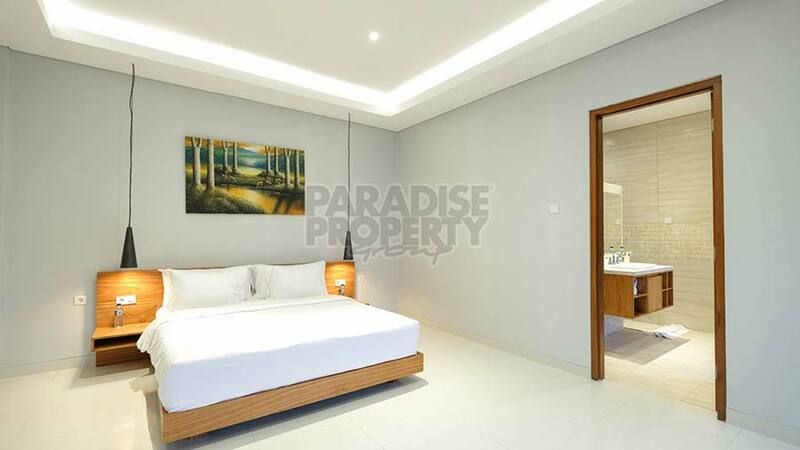 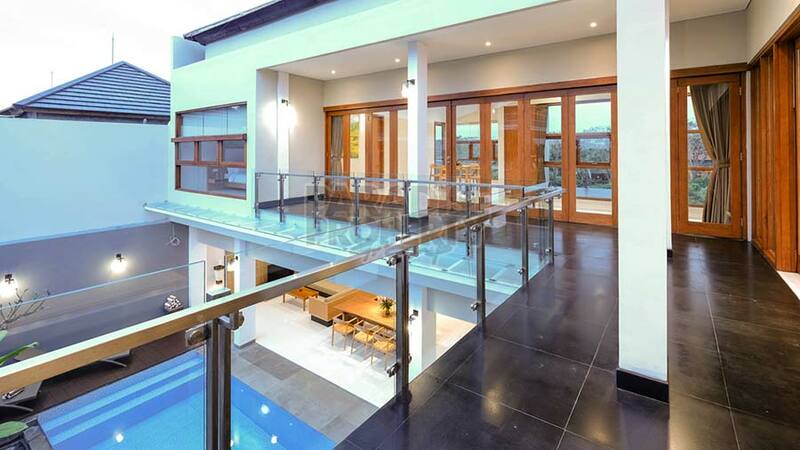 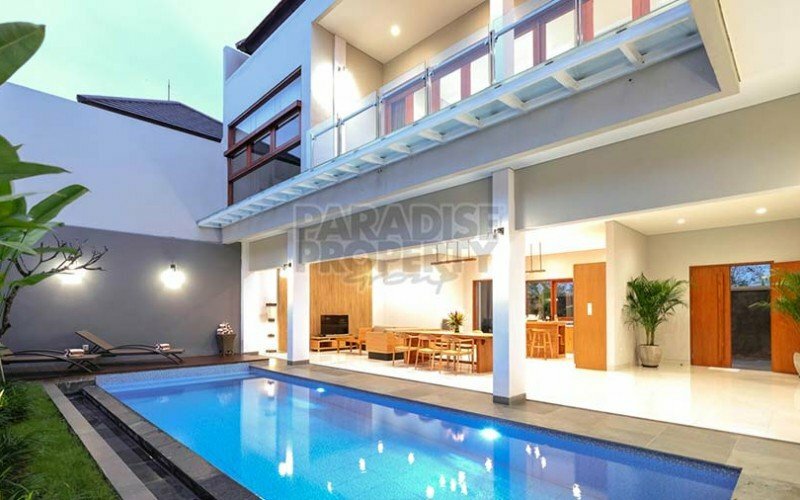 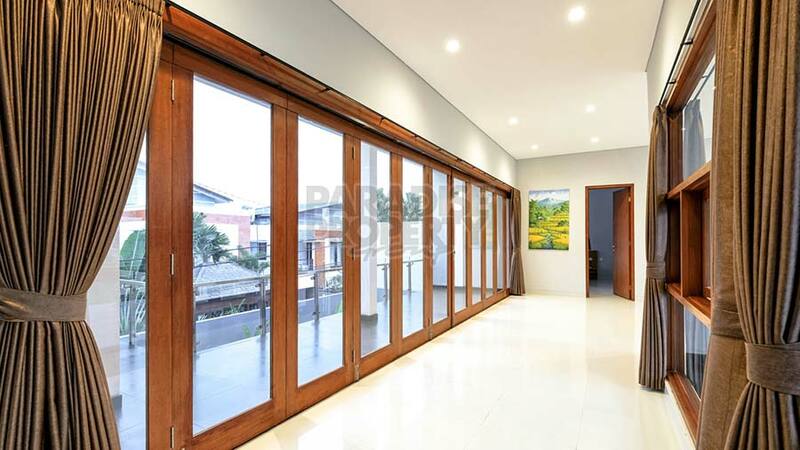 This beautiful private luxury villa is conveniently located in the heart of Canggu, just a short distance to many famous hotspots and dining experiences, 5 minutes drive to Berawa Beach and about 50 minutes drive from the International Ngurah Rai Airport. 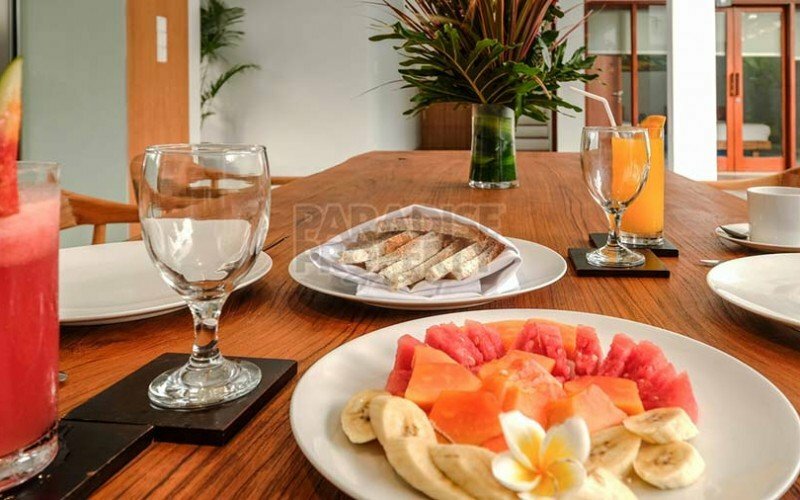 The two spacious air conditioned bedrooms are located on the upper floor with en-suite bathrooms and 1 king-size bed and 1 queen size bed, complete with LCD TV for each room and a living space with sitting area. 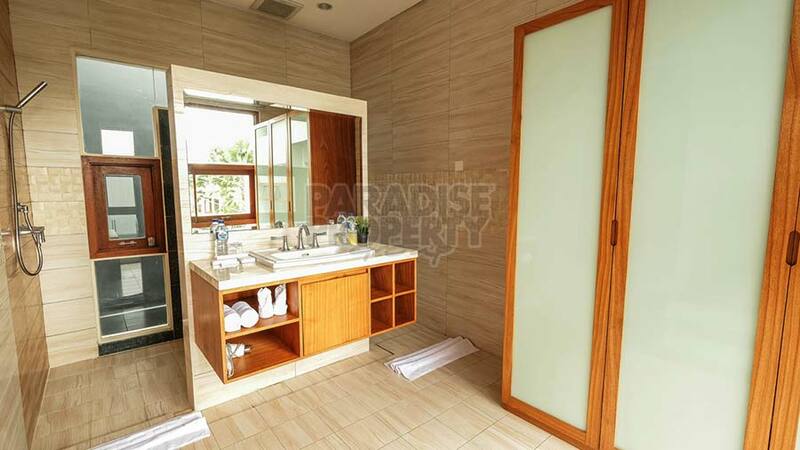 The third air conditioned bedroom is located on the lower floor with 2 single beds and an en-suite bathroom. 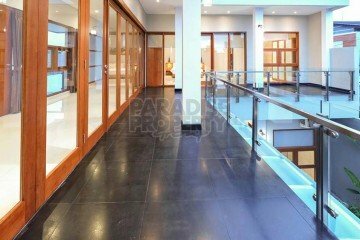 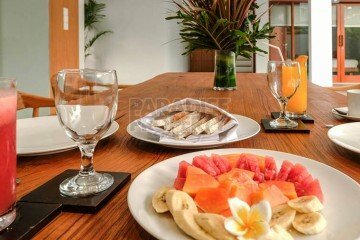 The living room is setup with a comfortable sofa and a 42″ LCD television with sound system, located next to the dining table and the fully equipped kitchen area facing the swimming pool. 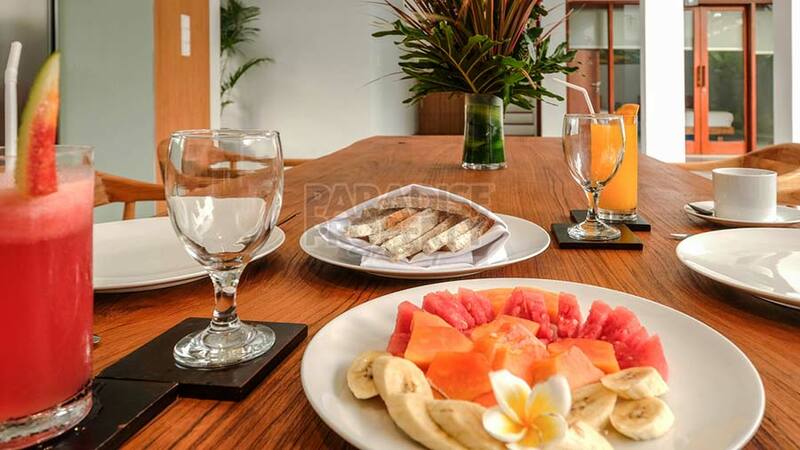 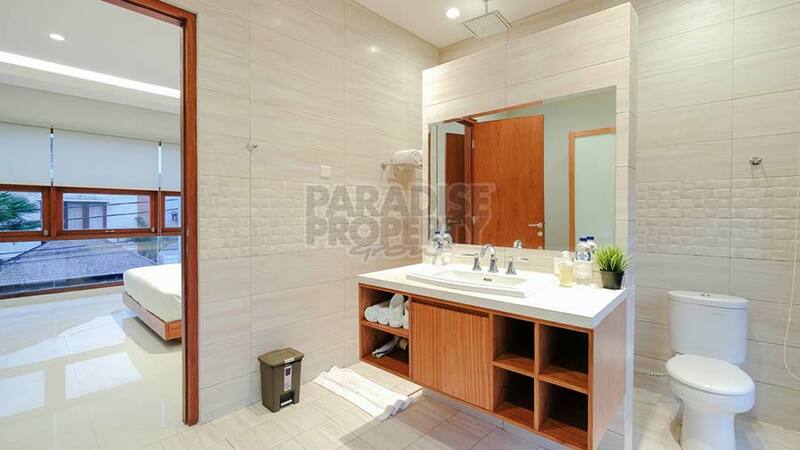 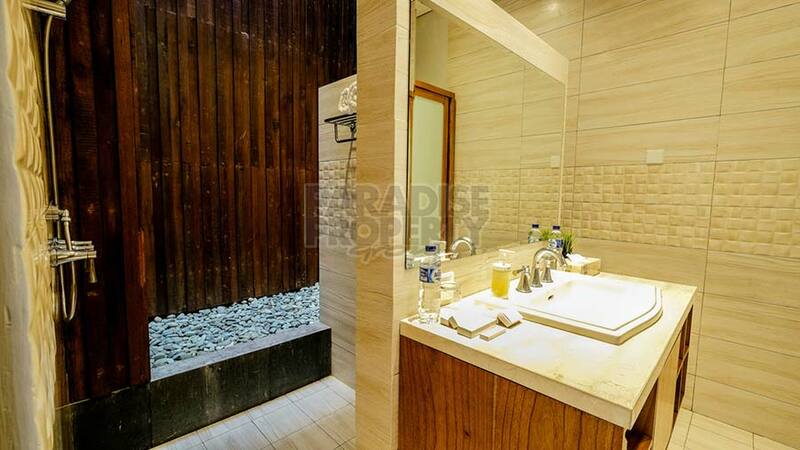 Your comfort and serenity is of the highest priority at this villa. 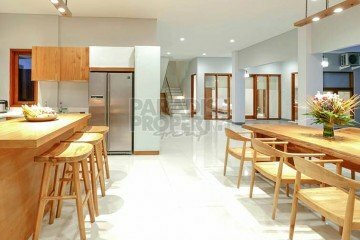 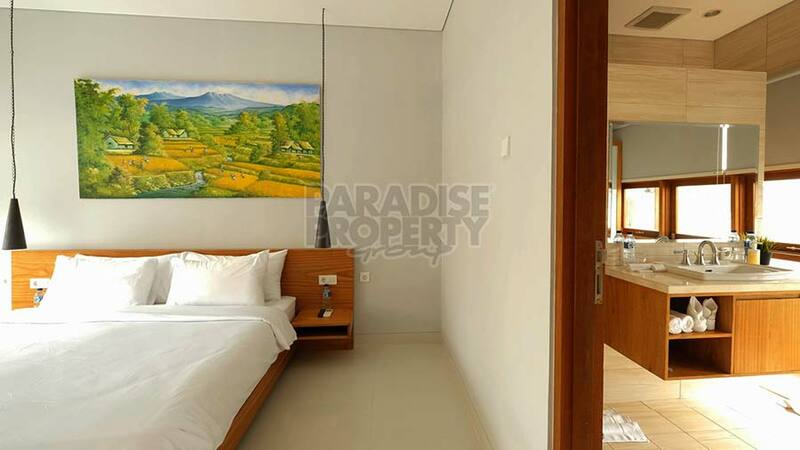 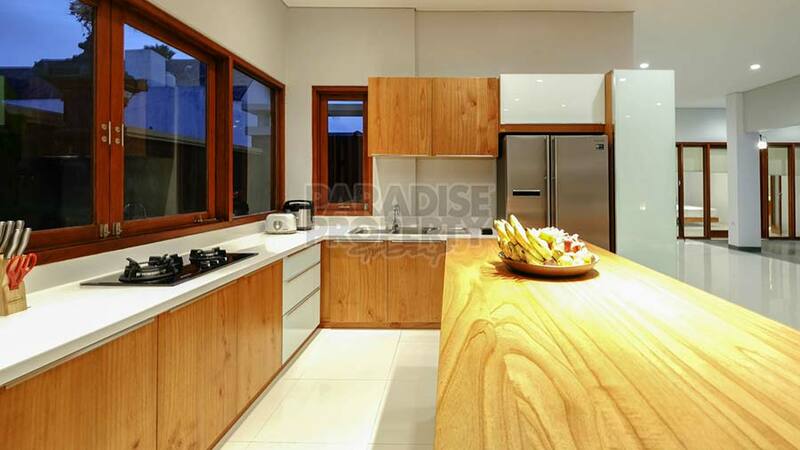 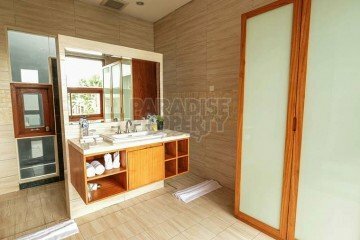 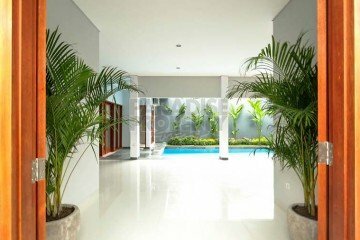 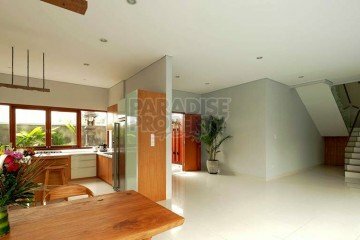 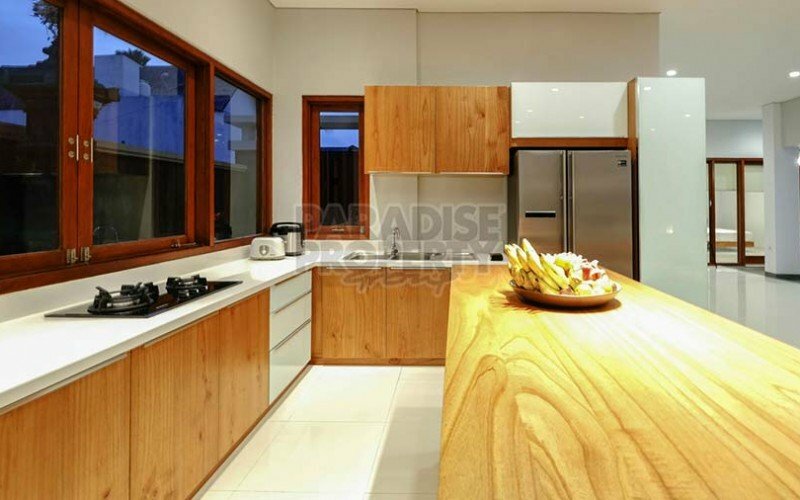 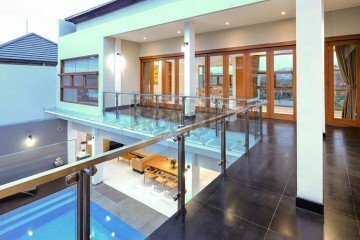 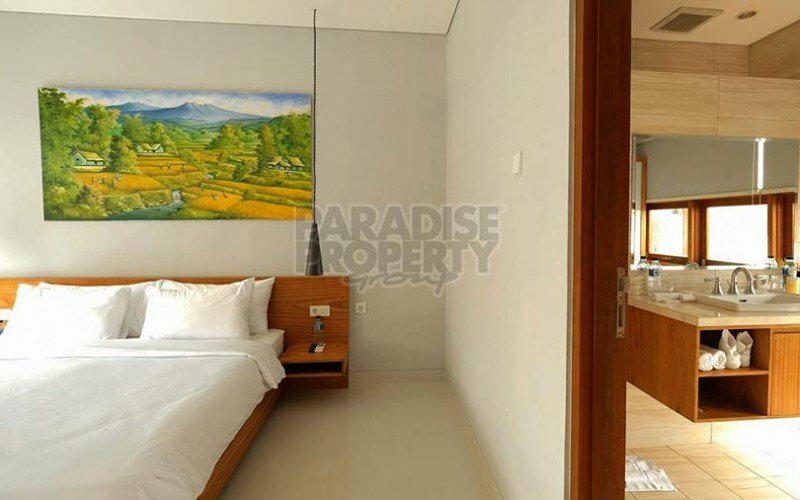 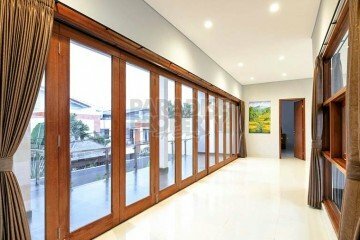 Enjoy quality time with your family or friends in this beautiful villa and create unforgettable moments of your time in Bali.